Andy Burgess is featured in the September/October issue of Luxe Interiors + Design Arizona Magazine. 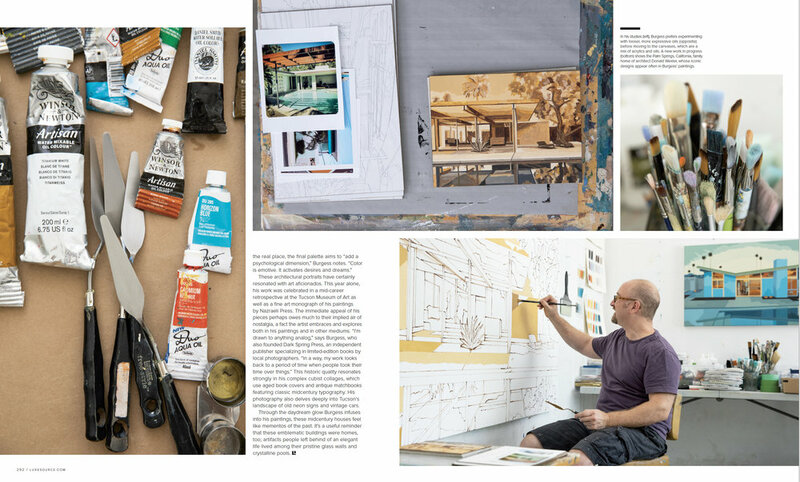 “Between the Lines: Modernist architecture is infused with artful nostalgia in the canvases of Tucson Painter Andy Burgess.” by Monique McIntosh with photography by Brandon Sullivan. Read the article here.